Rachel and Timothy looked like a cute and shy couple, but I have to say that it was just a first look! 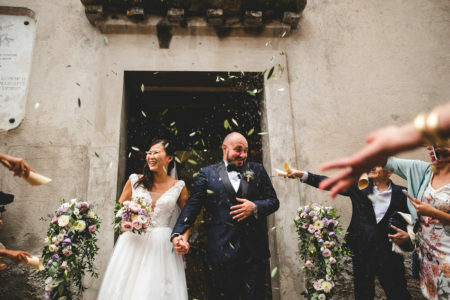 The bride is actually and super fun full of energy and the groom is a football enthusiast and flirtatious Fiorentina football club fan! Around lunch time I went to the bride’s house in Florence. Everything was ready for the bridal makeup and Rachele was very tense both for the wedding and for the photos! With a lot of discretion and some talks, I managed to put the bride at easy. A relaxed atmosphere is crucial for me. I want to make sure that everybody is comfortable in front of the camera. 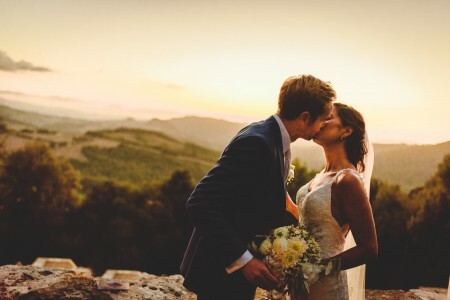 The empathic relationship between photographer, spouses and guests is extremely important! Understanding the mood of who you have to photograph is not easy. It takes sensitivity and empathy to understand how and when it’s time to shoot. And to me it should be like this even if it’s pretty much the first time you meet the couple. I must say that I felt at home with them. 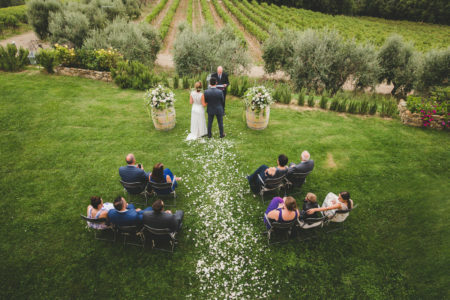 They chose a ceremony with a religious rite followed by a wedding reception at Tenuta Massini, Empoli. After a quick aperitif we started the session of couple portraits at the park of Tenuta I Massini. Luckily we made it to take some photos before it started to rain! The wedding party was beautiful, full of emotions and fun! Thanks to my colleague Teresa for the collaboration. I hope you will love my wedding photos at Tenuta Massini.